I have always believed Aspen home buyers preferred new. Maybe different than Greenwich or other New England luxury markets; so I did some fast math to determine the real deal. Of the 42 luxury Aspen home sales in the last five years, 30 of the sales accounted for homes built from 2001 to 2016. Only 12 of the homes were built prior so greater than 70% were "new". If we peel back the layers of the onion a bit further; the average difference in time from when the home was built and when it sold was approximately 2 years. What does this mean? 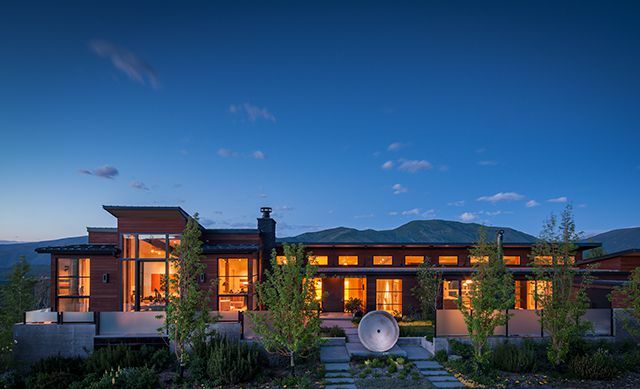 Aspen buyers want newer built homes. Five homes were sold while under construction. One of the homes in the data was sold twice and Jack Nicholson's home (not part of the 30 newer homes) was built in 1895. Actually older than Jack. There are certainly other considerations to luxury sales. Location is a definite factor. Red Mountain is the big winner accounting for 13 sales; followed by downtown Aspen with five sale; Starwood/McLain Flats had five as well and the West End and Buttermilk were tied with four each. Lesson to be learned? If I am an Aspen luxury developer the play is to build a new home on Red Mountain.